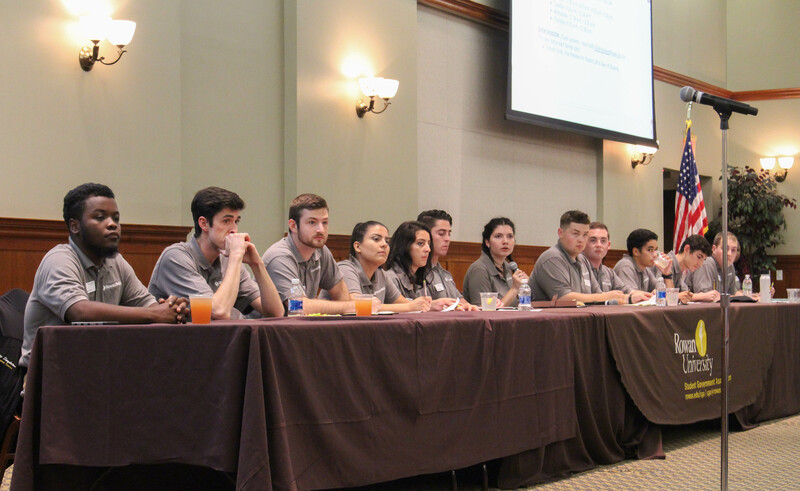 The Rowan Student Government Association (SGA) met for the second time this semester on Monday, Oct. 2 with a large agenda on their hands, including a heated election for a new commissioner of community standards. Three students were going for the new position and each had two minutes to plead their case. Afterwards, the votes were gathered and tallied. 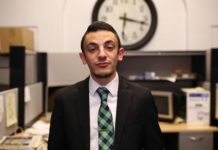 There was a tie among two of the candidates, Justin Fandino and Michael Webster Jr.
After the first tie, the SGA board had everyone vote again for only the two candidates. Senators raised their placard to vote and board members counted again. After the votes were counted, the two members were asked to come back in, then immediately told to turn back around because there had been another tie. SGA members then collected the placard’s to ensure all votes were counted correctly in a third vote for the new commissioner. After a substantial amount of time and counting, a new Commissioner of Community Standards was finally elected. The winner was Michael Webster, and for Webster, it was a little unexpected. “It was not something that either me or the person who tied expected to be a thing. It’s a little nerve-wracking,” Webster said. The position is in place to prevent corruption, favoritism, nepotism and all other forms of misconduct in the office of community standards. Webster will serve at least one office hour a week and be open to new concerns and thoughts. He already has some new plans for his office running through his head. “The first thing [I’m going] to do is a complete review of the bylaws and governing documents to see if there are any necessary changes there,” Webster said. Lauren Bitzer, president of the SGA, was very pleased with the overwhelming election. 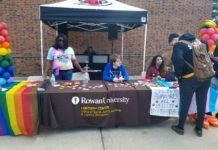 Along with the election, SGA approved four clubs on Rowan’s campus: the Pre-Law Society, Ratio Christi at Rowan, Rowan University Robotics Club and Rowan Vocals A Cappella. Members of the Rowan Vocals A Cappella were thrilled to be approved. 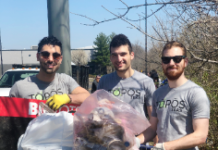 “It’s just so exciting because we’ve done all this stuff now and we’re really going to have a lot more opportunities,” said Molly McDonald, president of the club. The next meeting of the SGA Senate will be on Monday, Oct. 16 at 7 p.m.